Beautiful light and bright 3rd story condo facing the pool perfect as an investment or permanent residence- 1061 sq.ft., 2 bedrooms + 2 full baths. 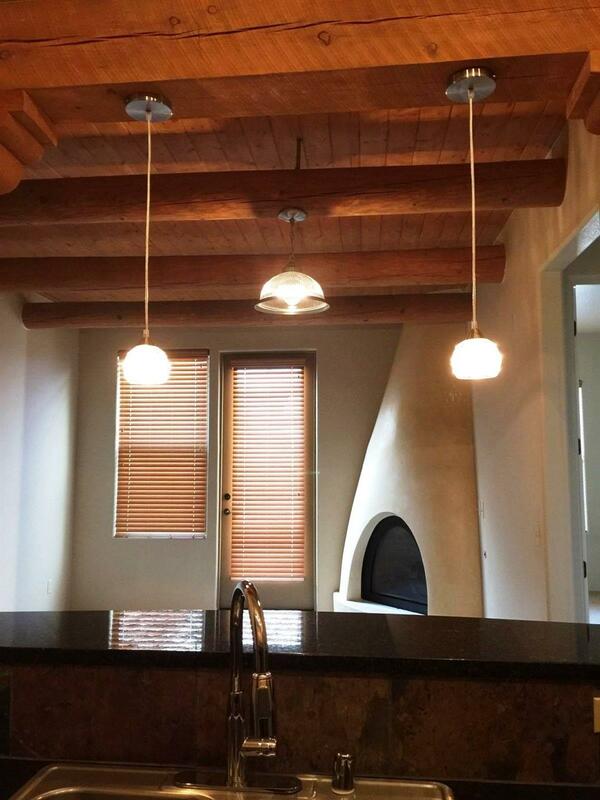 The unit is full of Santa Fe charm with tall vigas with tongue/groove ceilings and, corbels. The open concept kitchen has solid granite counter tops with slate tile backsplash, plenty of cabinet space, stainless steel appliances, laundry room (includes washer/dryer) and breakfast bar. 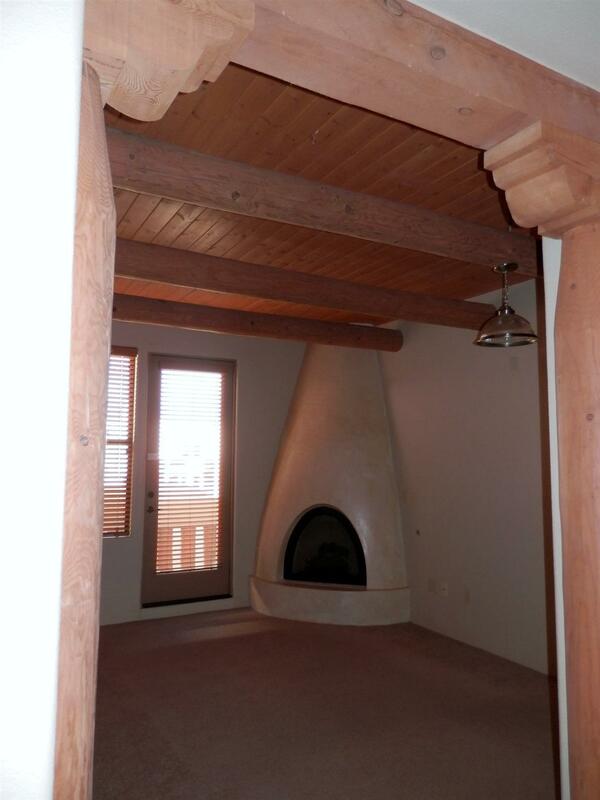 There is a living/dining area with a wonderful plastered kiva gas fireplace. Access the private balcony from the living room enjoying the interior view. The master bedroom has a large en-suite bathroom with granite counters, dual sinks, separate slate tiled walk-in shower, soaking tub and walk-in closet. Another bedroom on opposite side of the unit with adjacent bathroom with granite counters and bathtub with slate tile enclosure. 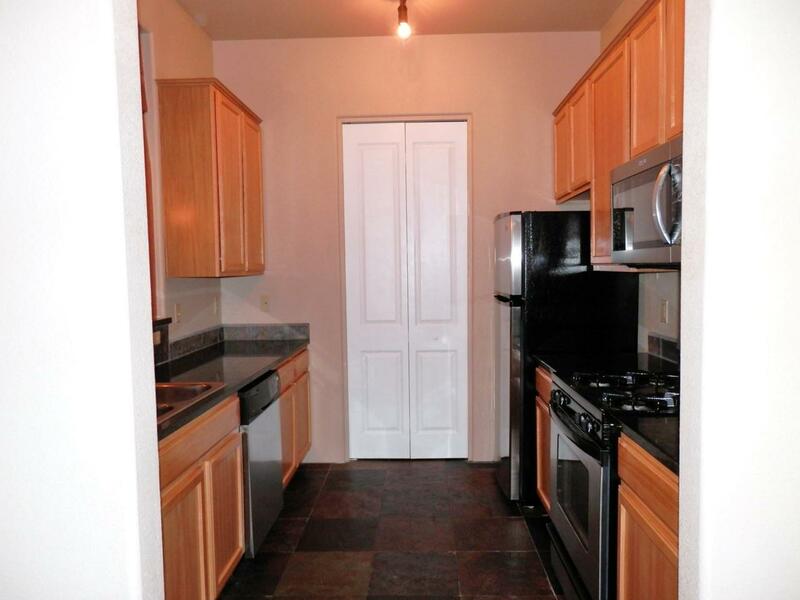 Features include slate tile floors, carpet in living area and bedrooms, forced air heat + central refrigerated A/C, two closets, a great community that allows pets. Its amenities include a fitness center, swimming pool, conference room, kitchen plus more makes the Alameda Condos a wonderful place to live! 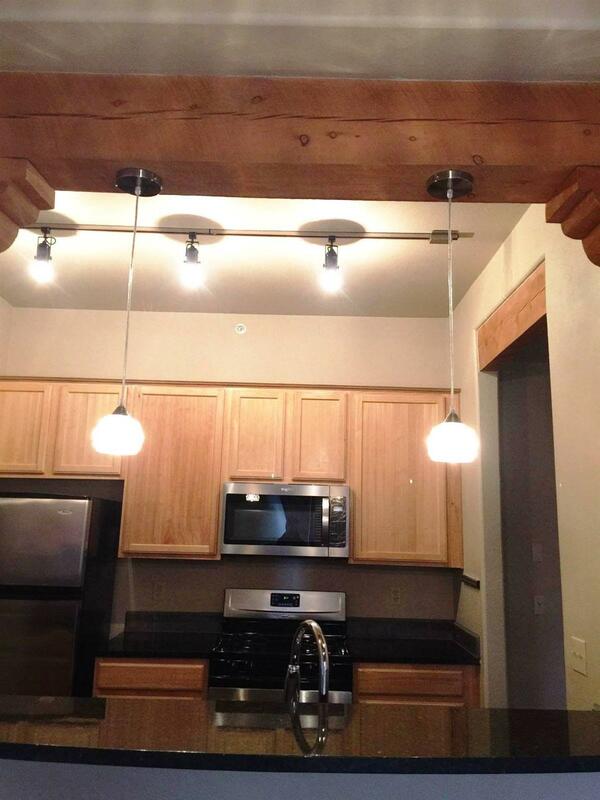 Listing provided courtesy of Rose Lopez-Brown of Keller Williams. © 2019 Santa Fe Association of REALTORS®, Inc. MLS. All Rights Reserved.